The Flo for Demi Bags is all about happiness, sunshine and fun! 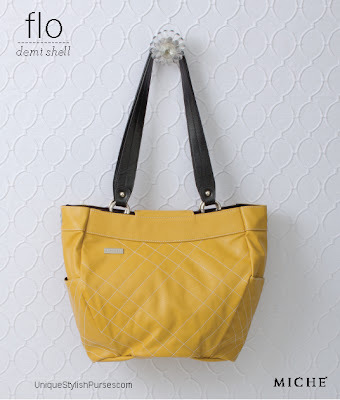 Rich goldenrod faux leather features bright white contrasting stitching in a fanciful crisscross pattern. Side Pockets.